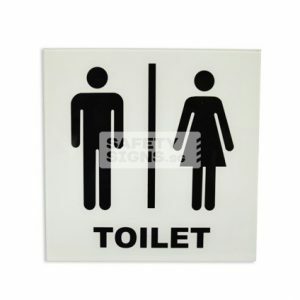 Stop & Go double sided sign with aluminium pole. 1.8 meter total height. 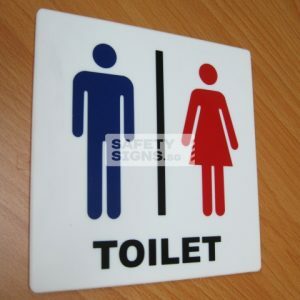 Sign is 40.5cm x 40.5cm. 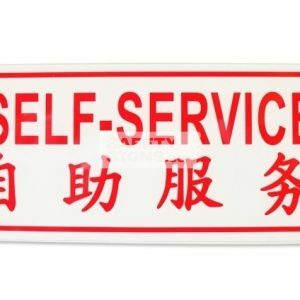 Suitable for day use. 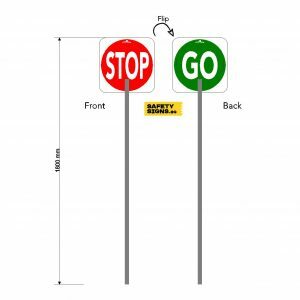 Stop & Go double sided sign with aluminium pole. 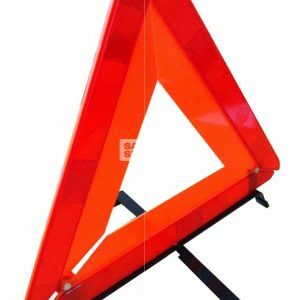 Engineer grade reflective sheeting reflect headlights and flashlights for high visibility. 1.8 meter total height. 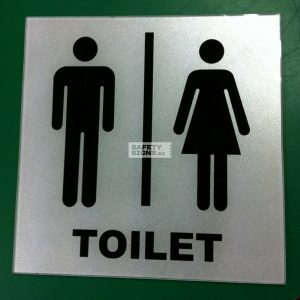 Sign is 40.5cm x 40.5cm. 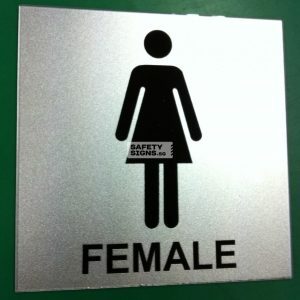 Suitable for day or night use. 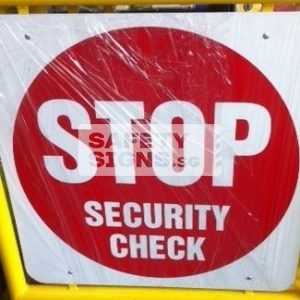 Stop Security Check Aluminum Reflective Sign. 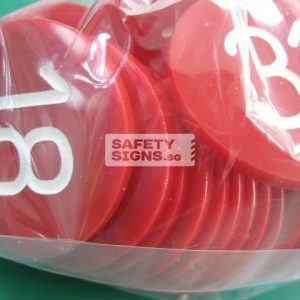 Table Numbers – colour: red. Size: 40mm diameter. 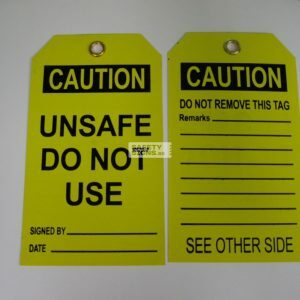 Material: 3mm thick coloured acrylic with engraved numbers with paint insert.